#SundayBlogShare MJ Interviews The Grasshopper – The Curse of Time. 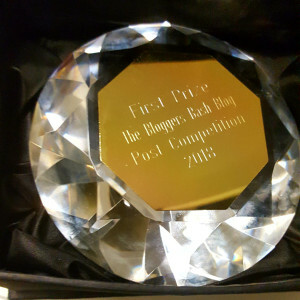 Guest Post by Hugh Roberts – How to Become a Successful Blogger! Hi. Welcome to my blog: M J Mallon - Kyrosmagica Publishing. A blog about magic, books, writing, laughter, and much more! I'm a debut writer, my first YA fantasy novel The Curse of Time - Book 1 - Bloodstone is set in Cambridge. I write book reviews on my blog and on Goodreads. I have a penchant for travel and have relatives in far flung places, Australia, Malaysia, and Singapore, (my birthplace.) I grew up in in Bonnie Scotland, in Edinburgh, and now live in Cambridge. I love sunny, hot places, particularly Rome, Venice, Portugal, Barcelona, and I forgot to mention the sun drenched beaches of the Caribbean, how could I? I am lucky to have been blessed with two lovely daughters and a husband who I fondly refer to in this blog as my black sheep. Family joke! With my passion for travel, culture, beautiful beaches, good food, books, theatre, writing, and humour, I hope to keep you entertained. I'm loving every minute of this creative journey, please join me. Honest Book Reviews, Meet the Author, Blog Tours, Cover Reveals & More! In My Dreams I reached out and touched reality! My name is Tory Hunter. I write and critique novels.